Target Liberty: Why Trump Needs to Shut Mueller Down Now! Why Trump Needs to Shut Mueller Down Now! I am absolutely stunned by the latest action taken by special prosecutor Robert Mueller. Five years ago, Paul Manafort arranged for a prominent New York-based law firm to draft a report that was used by allies of his client, Viktor Yanukovych, the Russia-aligned president of Ukraine, to justify the jailing of a political rival. And now the report is coming back to haunt it. The Justice Department, according to two people with direct knowledge of the situation, recently asked the firm, Skadden, Arps, Slate, Meagher & Flom, for information and documents related to its work on behalf of Mr. Yanukovych’s government, which crumbled after he fled to Russia under pressure. The request comes at a time when Mr. Manafort, his work for Mr. Yanukovych’s party and for Russian and Ukrainian oligarchs as well as the handling of payments for that work have become focal points in the investigation of the special counsel, Robert S. Mueller III, into Russian meddling in the 2016 presidential election, and connections between Russia, Mr. Trump and his associates. It’s unclear if the Justice Department’s request to Skadden, as the firm is known, is part of Mr. Mueller’s inquiry. But the interest from prosecutors in what Skadden did for the Ukrainian government is one indication of the wide-ranging nature of the inquiries related to Mr. Manafort. It also highlights the risks associated with advising authoritarian governments overseas, a lucrative sideline among Washington lawyers, lobbyists and public relations consultants. I have always held the belief that if there was a technical legal question on a given action, the best thing to do is stick a quality lawyer in the middle of it. He will keep you out of trouble and there is an unwritten code not to go after lawyers. Mueller, based on the NYT report, is apparently breaking that code--big time. Skadden has 22 offices, more than 1,700 attorneys and 50-plus practice areas. It is the definition of the big leagues. If Manafort was using them, he was trying to stay on the right side of the law. What the hell kind of work product does Mueller want from Skadden? This is over the top aggressive on Mueller's part and it should be noted that this was for work done five years ago---long before Donald Trump announced he was going to run for president. This signals to me that the Deep State is out to crush anyone who has ever thought of crossing the Deep State. Judge Napolitano has warned that Mueller is tightening the legal noose around Trump and that was before this NYT story dropped. 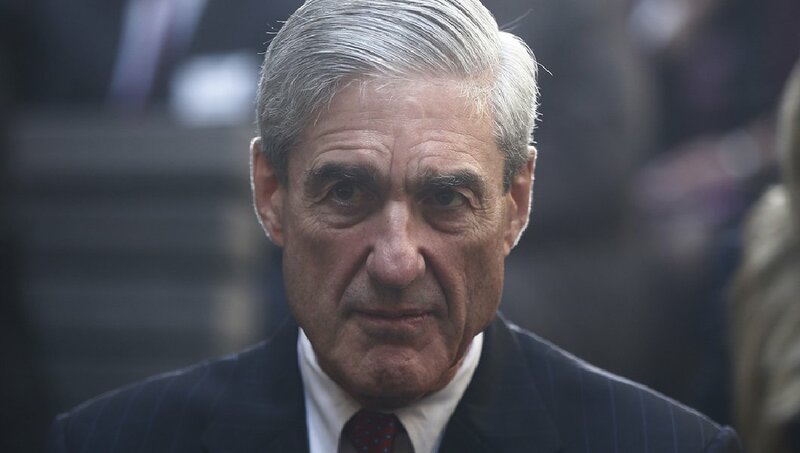 It now appears clear that Mueller is a Deep State enforcer and is not afraid to go nuclear. Trump needs to get rid of him. Kin Jun-un might not press the button, but Mueller will if necessary. It is politically dangerous to ditch Mueller, but Trump won't survive the kind of investigation Mueller is running. A grandmother who sits on a rocking chair on her porch all day wouldn't be able to survive. Trump needs to move Jeff Sessions to an ambassadorship somewhere and put a real tough guy in at Attorney General that will get the job done. I am no fan of Donald Trump but a Mueller victory here will signal to anyone contemplating a challenge the Deep State not to try, ever. It will put a chill on America that it may never come out of. 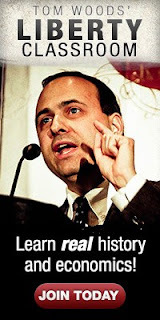 Robert Wenzel is Editor & Publisher of EconomicPolicyJournal.com and Target Liberty. He also writes EPJ Daily Alert and is author of The Fed Flunks: My Speech at the New York Federal Reserve Bank. Follow him on twitter:@wenzeleconomics and on LinkedIn. His youtube series is here: Sunday Morning with Robert Wenzel. Its interesting you bring up Judge Napolitano. He is batting 0-10. All last year he was saying it was only a matter of time before Hillary was perp marched out to a squad car. So either Judge Nap has no idea which I really doubt or there is something else going on. How about Trump is a F&*CKING moron, albeit an arrogant one. Really. I think it's that stupid. I never thought they'd ever get Nixon, but he walked into it with eyes wide shut. And he was a hell of a lot smarter than Trump. BTW, I agree with you. There IS something going on. And thats the problem. Trump waltzed through the primary process. How often does an outsider do that? either the deep state seriously miscalculated which is possible or he had the backing of someone very very powerful. I, too, am neither a fan of Trump nor a fan of the Deep State. In this case, I don't think that Trump nor Manafort have anything to worry about. The Justice Department can ask any law firm or lawyer for anything the government wants. But, the law firm won't release the documents. The documents should be protected by Attorney/Client Privilege. Any document that the government argues is not protected by that privilege won't have much incriminating value. 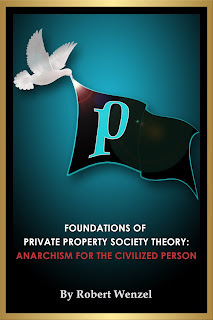 If a law firm were to violate the Privilege, that would be the end of the law firm. Not only would they lose clients, they would also suffer wrath from the Bar Association. And, a law firm/lawyer that has been disbarred is legally dead. Furthermore, the client holds the privilege. So, any documents that the government obtained from an illegal breach of privilege by the law firm would not be admissible in court. In legal circles, the Attorney/Client Privilege is sacrosanct. The only way the government could get around the privilege is by arguing that there was some sort of criminal conspiracy between the client and the attorney. Maybe there was in this case, but that is unlikely. Skadden is a very well known firm, and I doubt that they would be operating in the world of international criminal activity. The Justice Department knows this, so I imagine that they are just trying to intimidate Manafort. Back in the day when I was in the NYC area (circa lat 1990s), young lawyers I knew referred to the building Skadden Arps operated out of as the "Death Star." Trump should also call off all future election and declare himself and Pence as dictators. Or ... Mueller could be looking for billing records, which won't be attorney/client privileged. Most likely Manafort claimed a payment by Yanukovych was used to pay the law firm. But if the bill from the law firm was less than Manafort charged the client, and Manafort failed to report the income, there's the crime Mueller's looking for. Mueller just needs something, anything, to help the MSM get more Trump bashing headlines. And scare anyone that thinks of working for Trump. That's what Mueller is there for. Speaking of law firm billing records ... is Hillary in prison yet?